The HYDMECH C350-2AV Cold Saw is a solid addition in every metal fabrication shop. 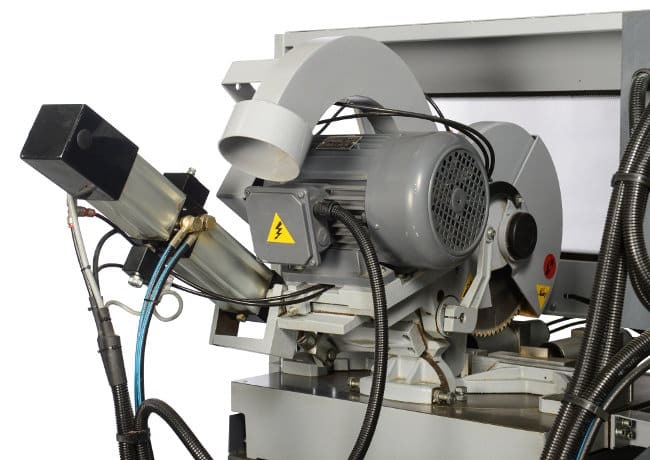 It is a smaller circular saw that is a manual vertical column cold saw and is favored for its accurate, quick and clean metal cutting. 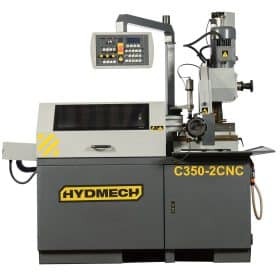 The HYDMECH C350-2AV Cold Saw miters from 60 degrees left to about 45 degrees to the right. 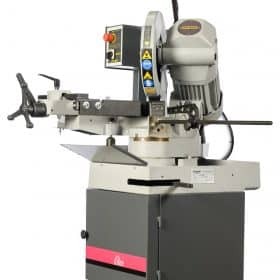 It features a range of 4 dissimilar blade speeds and a 4 1/2’’ round hollow capacity, 2.5/3.0 HP motor and 14’’ blade which makes it the ideal choice when quick and clean metal cutting is needed. 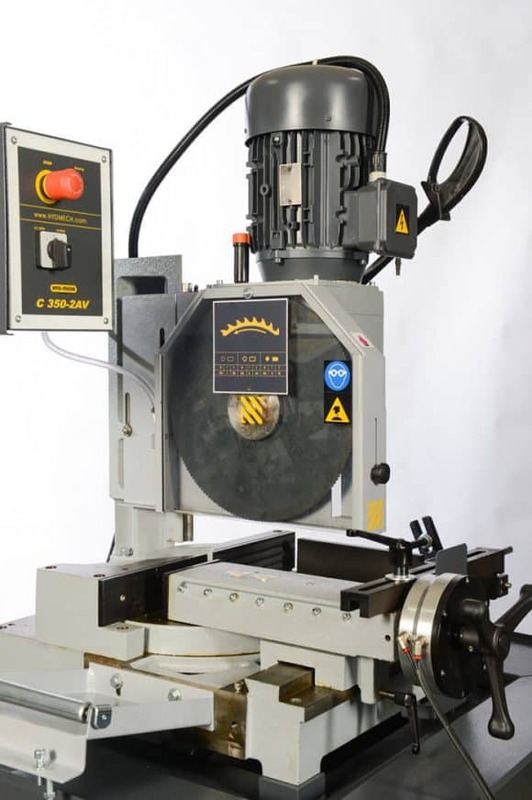 The carbide circular saw along with HYDMECH’s quality guarantee ensure you get the best cuts in the industry. 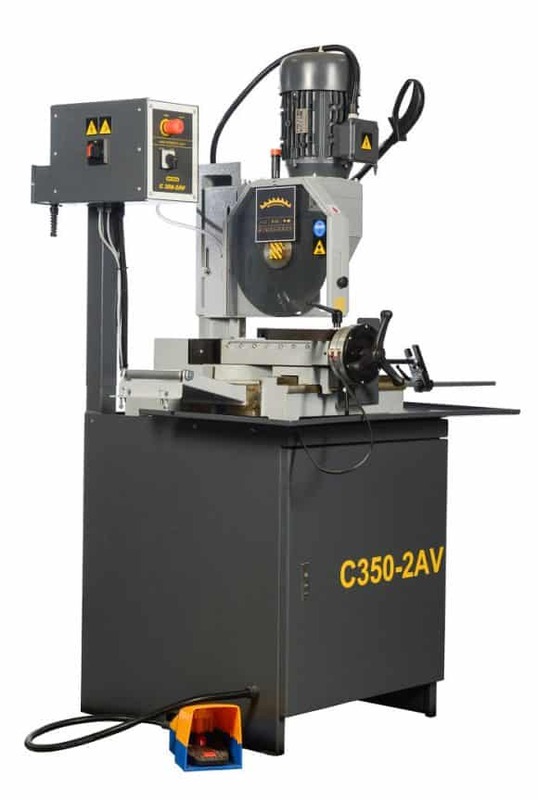 Has a heavy duty sawing head that has a manual pull-down movement based on adjustable dual precision linear bearings. Has four blade speeds- 15, 30, 45 and 90 rpm. 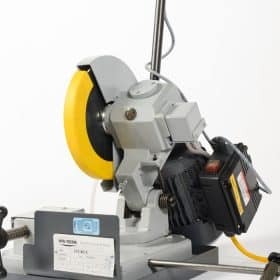 Has an air-filled operating vise, which through a foot pedal is able to slide on dovetail in order to adjust with saw head mitered position. 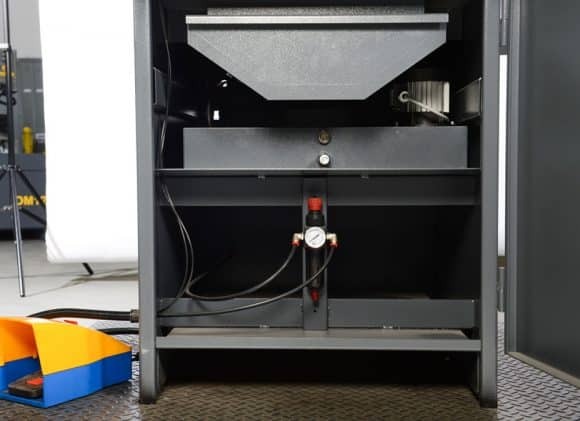 Has an enclosed steel base that has a chip drawer and a coolant tank. Has a flood coolant system that has a coolant tank. Has an ergonomically positioned control panel that includes a main disconnect switch, a minimum tension coil, a thermal relay, an emergency stop button and a safety door interlocks. Has a cutting head that is balanced by a gas spring.